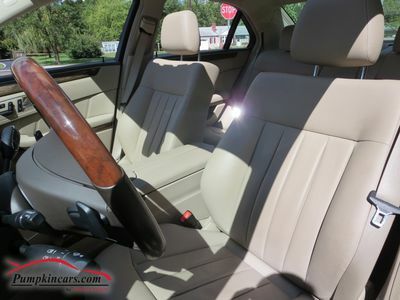 Pumpkin Fine Cars and Exotics: LOADED, CLASSY E350 4MATIC JUST REDUCED! LOADED, CLASSY E350 4MATIC JUST REDUCED! 2 KEYS AND OWNER'S MANUAL ** 2 MONTH/2,000 MILE WARRANTY ** Black Exterior with Almond Beige LEATHER Interior + Burl Walnut Wood Trim ** Parktronic, BACK-UP CAMERA, Wood + Leather Steering Wheel, Real-Time Traffic Data, Dual HEATED Power Seats with Memory and Power Lumbar Support, Power Rear Sunshade, Moon Roof, 17" Split 5-Spoke Alloy Wheels, Bluetooth, TeleAid, Garage Door Opener ** PREMIUM Harman Kardon LOGIC7 Surround Sound System with 6-Disc In-Dash CD Changer, MP3, Satellite Radio, DVD System ** V6, 3.5 Liter Engine, Paddle Shift, Traction Control, Stability Control, Cruise Control, Telescoping Wheel, Power Mirrors, Power Locks, Power Windows, and more! ** Visit us and test drive this pristine car today. 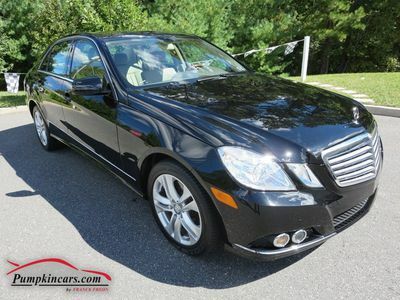 LOADED 2012 E-CLASS JUST REDUCED! 2011 CHEVY NOW JUST $9,990! BMW 325xi JUST REDUCED TO $13,990! Economical, In-Demand Honda Civic now $11,490! NEW PRICE FOR THIS 2014 F150! Want SPORTY, but on a budget? RARE FIND!! With LOW ANNUAL MILES! Don't miss out on this LIKE NEW Outback! Looking for SLEEK & SPORTY?